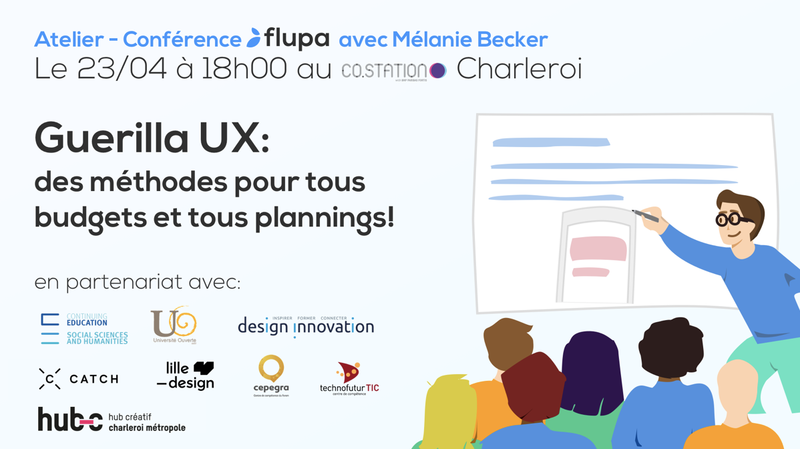 For some, a UX approach is a synonym of rising costs, increasing budget and overflowing schedule… Mélanie Becker will demonstrate that great UX design starts with understanding users and then solving users’ needs by providing them easy, intuitive and delightful experiences. In fact, it’s pretty easy to strike the balance to hit time and budget goals. At the end of the workshop, a UX training project in Charleroi will be presented.